In 2013, my husband and I made a trip to NYC, to specifically experience several antique shows taking place in mid-January. Following for many years the ads that appear in various art and antique magazines, this trip was really a bucket-list item for Will, a Folk Art collector. Little did we know how much our lives would change as a result! Barely able to take the time to drop off our bags at the Crosby Street Hotel and eat a bite, we jumped in a cab and made our way to what was then called the TAAS Show, originated by the American Folk Art Museum. One goal: meet Allan Katz. 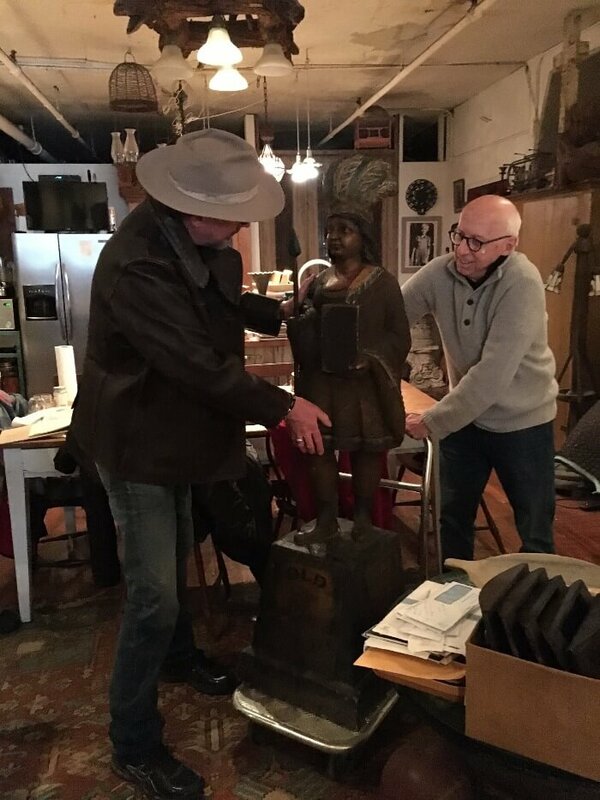 Will practically tumbled and galloped his way into the show, and for the next several hours, we both circulated in and out of Allan’s booth, visiting with him, admiring each and every piece of Folk Art he had for sale, and also meeting his BEYOND darling wife, Penny. The four of us really hit it off, and I’ll forever be grateful to Al and Penny for not regarding us as stalkers (because we probably blew their hair back with our brash Texas-ness and ten-zillion questions), but rather embracing us as potential clients, and quickly becoming very close friends. 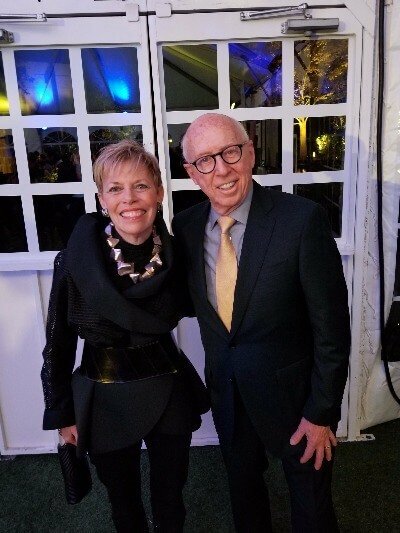 When I decided to write a Blog, and include Fascinating Personalities, there was no more perfect inaugural person to feature than my dear friend, Allan Katz. Q: Allan, you are widely considered one of the premiere American Folk Art Dealers and Experts. Did you grow up in a family of collectors? A: In a way…my mother collected Meissen porcelain, but when I was growing up in Brooklyn and also in Queens, many young boys collected stamps and coins. Also, during that time, the area around us was totally undeveloped, and I spent a great deal of time collecting fascinating natural objects, such as bird’s eggs and butterflies. The American Museum of Natural History’s Monarch Tree was particularly fascinating to me, and inspired me to build my very own “Natural History Museum” in my basement, charging a five cent admission to see my collection. As an economics student in college, I was primarily interested in a successful business career. I served as the CFO of Parametrics Industrial Electronics Company from 1969 to 1983. I began collecting early American advertising, and eventually became a collector and dealer of American Folk Art and Americana. My career has taken many paths, and it has been my honor and pleasure to participate in many antique shows through the years including the Winter Antiques Shows in New York City, The Philadelphia Antiques and Art Show, the San Francisco Fall Art and Antiques Show and many many others. Q: I am sure many people will recognize you from the PBS network broadcast “Antiques Roadshow.” In that capacity, you and Penny have travelled all over the United States. What city surprised you the most? A: It’s the small cities that were the most fascinating. Big cities have the natural draw of known museums and cultural opportunities, but seeing America through the lens of the smaller places has been amazing. For example, visiting Rapid City, South Dakota gave me and Penny the opportunity to see Mt. Rushmore and the Badlands, which we enjoyed immensely. True story: When we sold Parametrics, I then reported to the President of the Company that purchased us. My boss shared with me that he was fired from his first job by Gutzon Borglum, the American sculptor, who was best known for designing Mt. Rushmore. The crime? Fooling around with dynamite one night on top of Lincolns’ head! It brought a tear to my eye to see my former’s boss, Mr. Erwin “Pete” Pietz, listed with those who made Mt. Rushmore, his name appearing on the plaque of the 401 people who helped build that incredible work of art. Milwaukee was another great place to visit, often eclipsed by its bigger neighbor, Chicago. 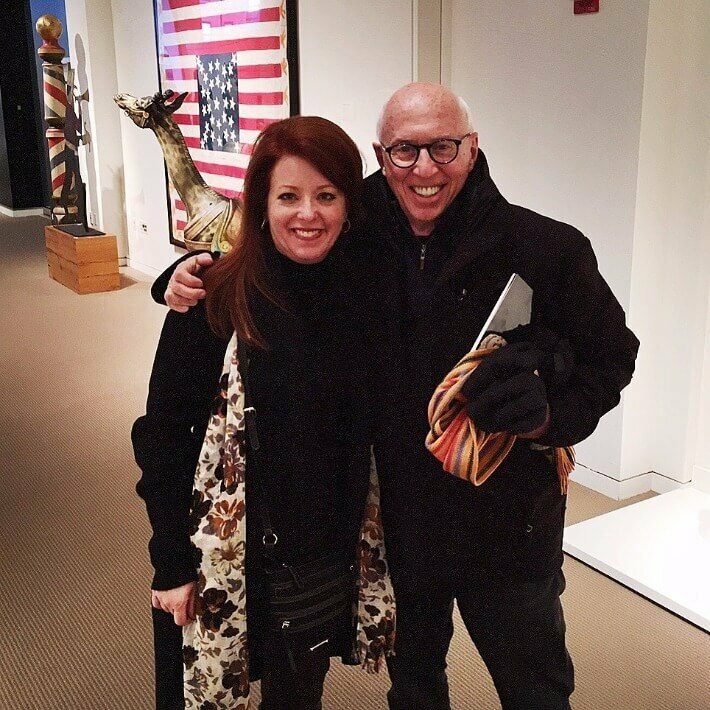 Q: Will and I have had the great pleasure of visiting you and Penny in your gorgeous home in Connecticut, but we most frequently see you in New York. And I know very well, that Italian food is a favorite. Where do you love to eat in NYC? A: Lusardi’s on the Upper East Side is a definite favorite! And we also love Barbaresco on Lexington, near the Park Avenue Armory. Q: You have recently been elected to the Board of Trustees at the American Folk Art Museum in New York City, which is an absolute must-see for anyone visiting New York! Not to mention the Self-Taught Genius Gallery in Long Island City. A: You would be hard-pressed to find a more important collection of Folk Art anywhere in America than the American Folk Art Museum in NYC. 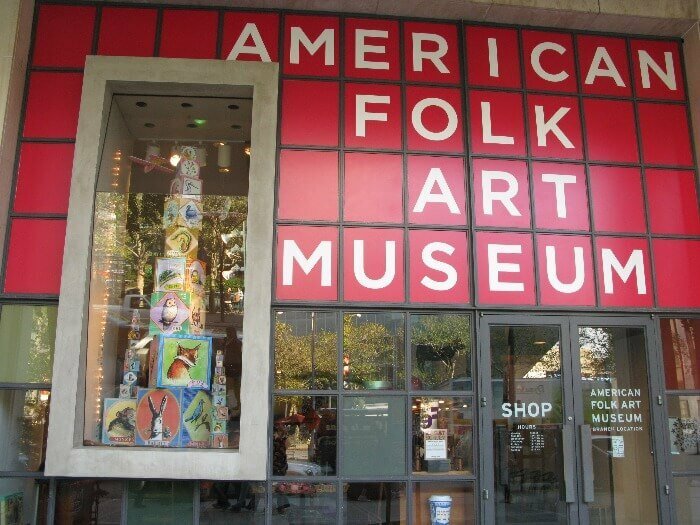 With two locations, one in Manhattan and a newly opened gallery in Long Island City, the American Folk Art Museum is doing an amazing job doing what we all love: two locations, always free! Q: Where else can we see fabulous Folk Art? A: Another wonderful spot? Penny and I absolutely love the Shelburne Museum in Shelburne, Vermont. It’s so beautiful there in the Spring, when you can truly enjoy the outside spaces. Q: You are one of the busiest people I know! What are you currently reading? A: The Dylan Chronicles. Growing up in New York at the same time that Bob Dylan arrived in New York, makes it a fascinating read for me. 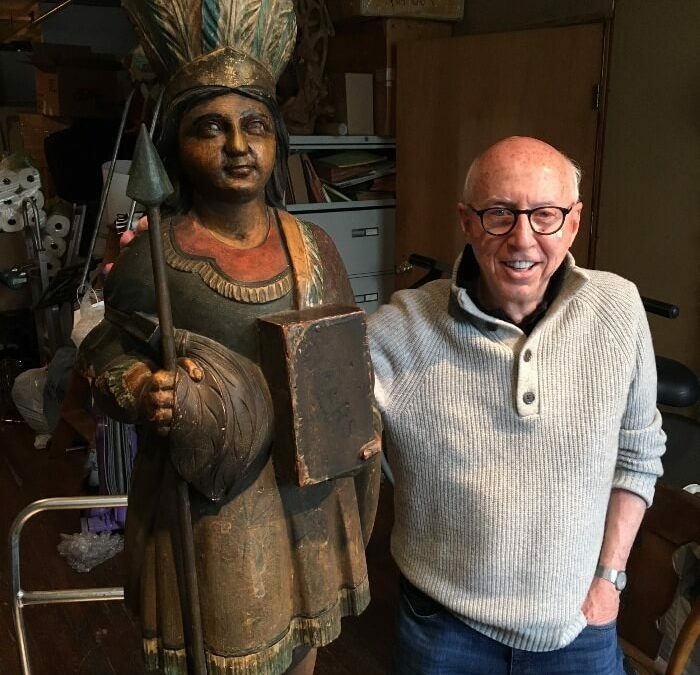 Allan has been such a great friend and mentor to my husband Will, whose passion for collecting Folk Art has absolutely been shepherded by Allan’s enthusiasm and willingness to freely share knowledge! And I have learned a great deal from Allan as well!!! Plus, I think he and Penny are about the most adorable people I know!!! Will and I are Blessed to be able to call them friends, and look forward to many more adventures with Penny and Al! If you enjoyed this post, and would like to get ALL my posts in your Inbox, simply click here.